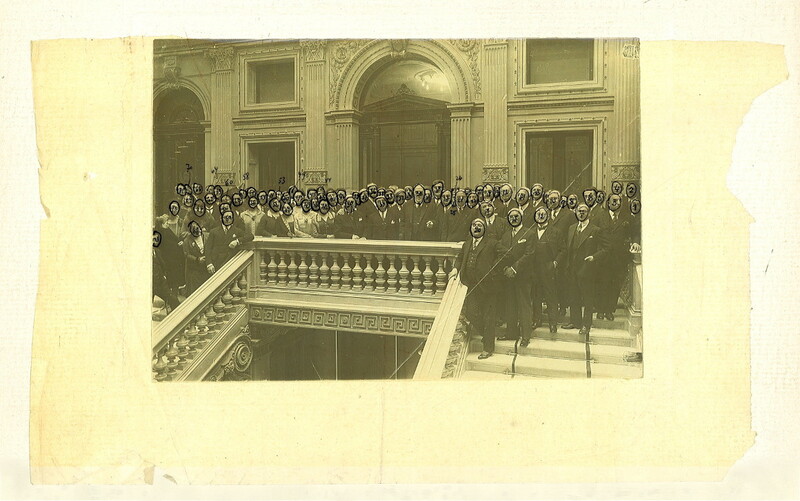 Generali, an imposing staircase, celebrations for an important anniversary and an employee’s historical memory: all are represented in a photograph held in the Historical Archive, a rare and evocative period image containing a wealth of information. The black and white photograph shows a group of people on the grand staircase of the Geiringer building, the Trieste headquarters of Generali since 1886. 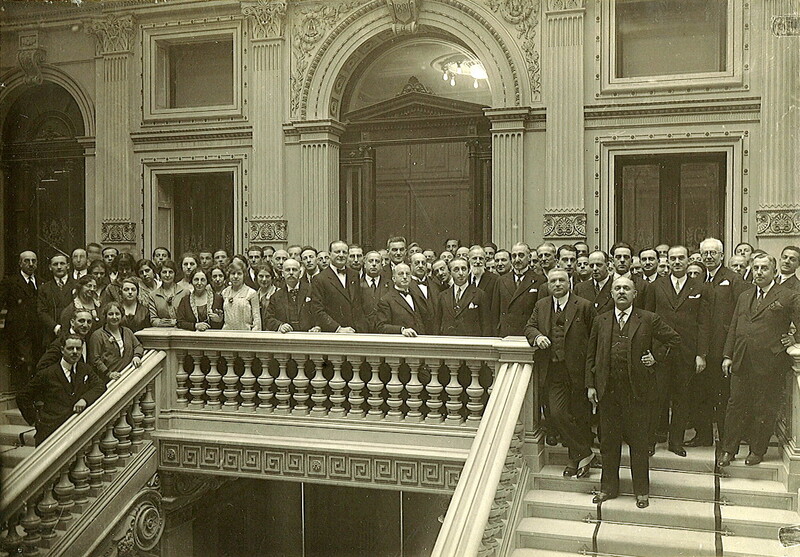 General Manager Michele Sulfina stands at the centre alongside Edgardo Morpurgo, President from 1921 to 1938, although the latter is absent from a second archive image. An attached legend identifies many of the men and women around them, including Giulio Cleva (Deputy General Manager), Giorgio Vivante (a Manager of Generali Venice Head Office), Emanuele Ehrentheil (Board Member), plus various Trieste employees and agents from Bologna and Milan. Ida Escher, pictured fourth from the left on the balustrade, worked at Generali from 1920 to 1955 and was interviewed in 2008 for the Assicurazioni Generali Bollettino, stating that this photo was taken in 1927 on Sulfina’s 25th anniversary of service. 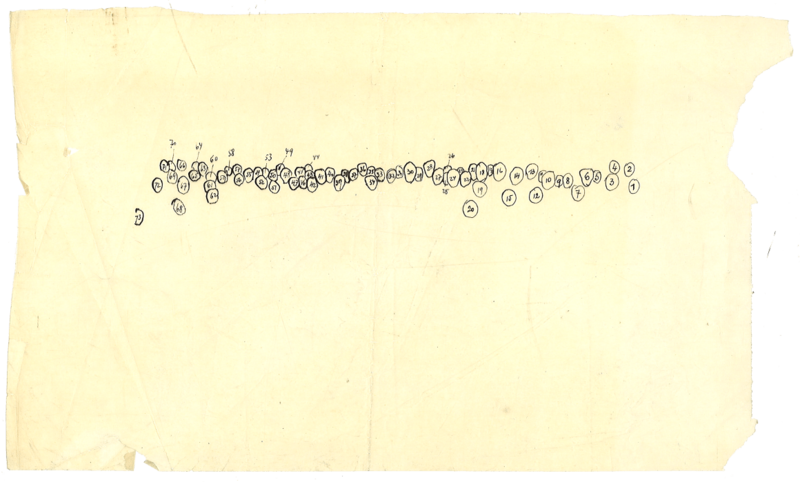 Similar personal and company events are recorded in numerous documents and commemorated in precious objects and illustrated parchments that are still conserved. 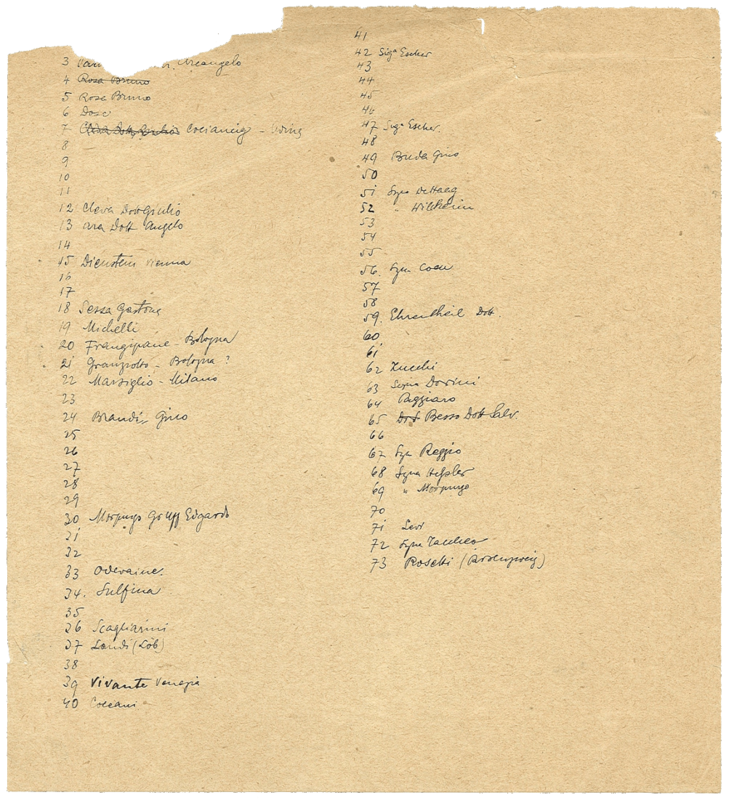 We learn from Sulfina’s personal files that he celebrated his anniversary on January 30, 1927 in the company of numerous colleagues. 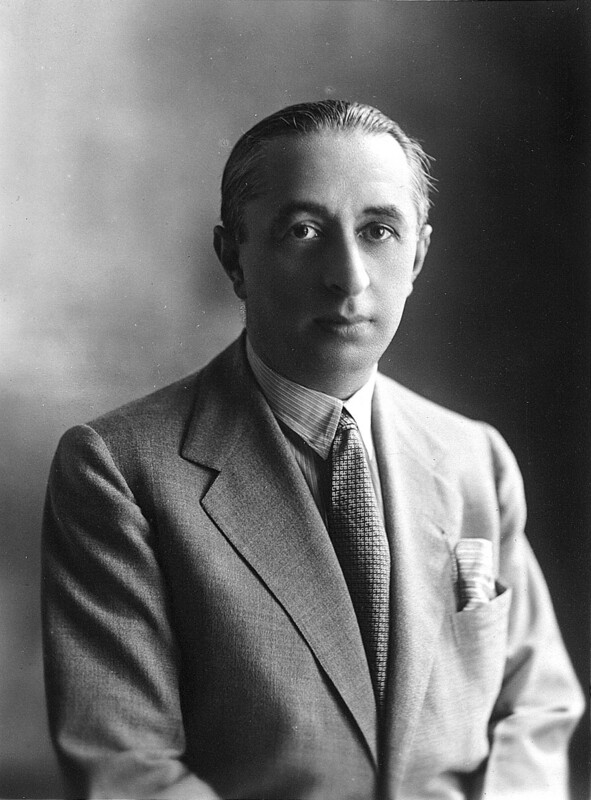 Sulfina (originally Schwefelberg, his surname having been Italianised in 1930) was born in 1883 to a Jewish family from Braila, in Romania, and began his Generali career in 1915, in Rome. For many years he was the key figure in foreign business, playing a crucial role in the resumption of activity in both post-war periods. In his long career he acquired extensive experience and great expertise in insurance, eventually becoming General Manager in 1948 and Vice-President in 1953. He died in 1957. The staircase shown in the photograph, which rose from the Geiringer building’s main entrance on Piazza Duca degli Abruzzi, was demolished during renovation work in 1966. For further information on Sulfina, see: A. MILLO, Michele Sulfina, in Generali in History. Tales from the Archive. Nineteenth Century, Venice, Marsilio, 2016, pp. 234-237.